Well, there are futuristic concepts and then there’s the model below. 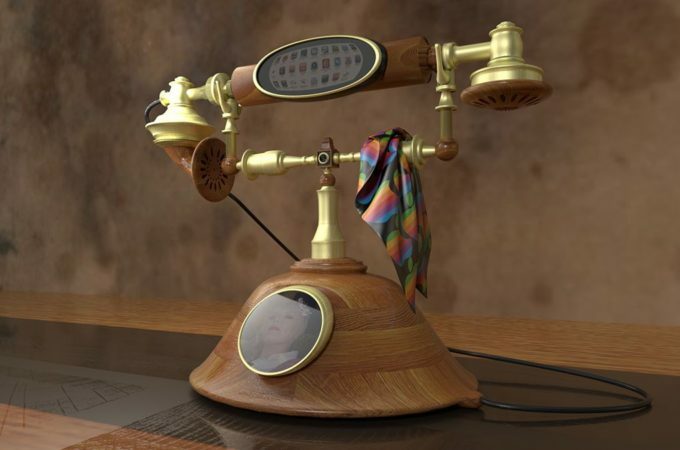 It’s a steampunk piece of work, a throwback to the 1920s era of telephones, that were still a prized possession, since they were not widespread yet. We’re dealing with a sort of iPhone integration within this old school piece.